Think he wanted that win? 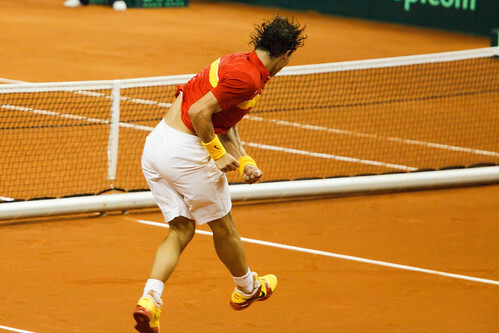 Day one of the 2009 Davis Cup final: Spain vs. The Czech Republic.